Quarterback is often requested to intervene as a "white label" on both the organisation and production of events. Quarterback intervenes to give advices in the sports marketing field, to numerous brands representing big institutions and events from the World of Sports. – Implementation of the brand complete activation programs, linked to the beneficial owners or events organisors. In the context of the 2014 Volvic brand redefinition (change of logo, visual identity and slogan), Danone wished to modernize and rejuvenate its image. Volvic wanted to enlarge its consummers community to establish its reputation and promote the benefits of its water. Therefore, Quarterback suggested Volvic to become partner of a major general public sports event, in order to get closer to its young consumers. 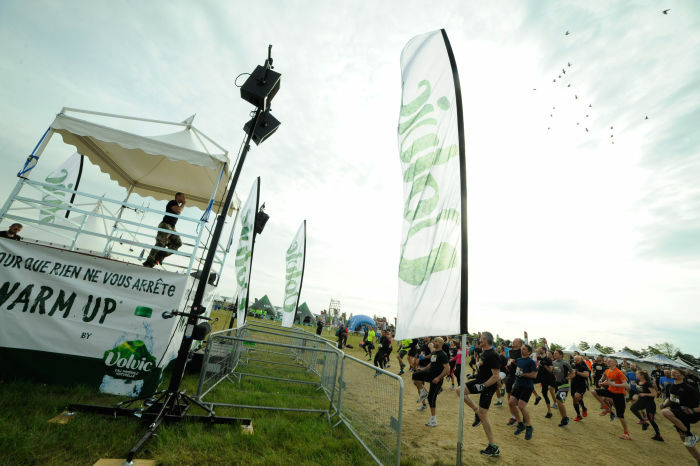 Quarterback came up with a 360° strategy for the Danone Group, making Volvic the Official Water Partner of The Mud Day, the leading obstacle-race in France. Through this partnership, Volvic benefits from a large visibility all along the race track, over the 8 The Mud Day races organised across the country. This visibility goes from the Warm-up animation (sponsored by the brand), through the several water resupply points which punctuate the race, but also, the brand has one of the most famous fence of the race to its name : the Wall; as well as a reception booth on the Mud Day Village. In parallel, Quarterback suggested Volvic to activate a “shopper animation” and a quizz competition in all the supermarkets in order to offer even more visibility to the brand. This general-public “game” permitted the players to win action cams, The Mud Day numbers and race armbands. Finally, Quarterback proposed a strong digital activation to Volvic with: the creation of a mini-internet website dedicated to the partnership with the race, and the presence of bloggers on the race conveying the brand’s messages to their community. This, before, during and after each race.